It is a great pleasure, and a great honour, to welcome all of you who have come to this exceptional venue tonight, on this extraordinary occasion. As I welcome you, I do so on behalf of many others, all around the world, who have made this occasion possible. 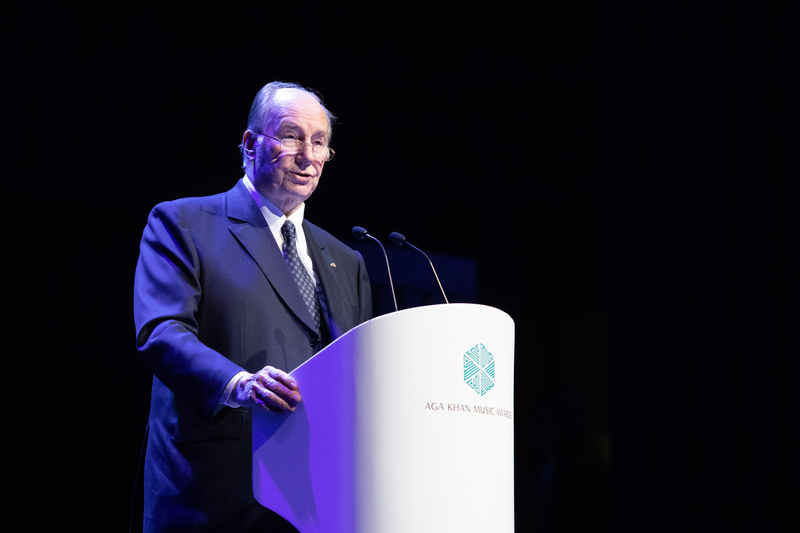 I speak of course of those who are part of the Ismaili Jamat and the Aga Khan Development Network, but, more generally, all those who have helped to organise the Aga Khan Music Awards. I salute them all - the nominators, the members of the Awards Steering Committee, the Master Jury, and the Awards Secretariat. And of course, all the participants. I salute all the Awardees whose musical talents have so generously enriched today’s events. I learned at a young age about how my own ancestors, the Fatimids, cultivated music in the city of Cairo a thousand years ago. And I also learned about how the Iberian region where we are now meeting, the territory known as al-Andalus, produced new forms of music and poetry in the late medieval period. It was here in al-Andulus that Muslims, Jews, Christians, created together an exemplary culture of tolerance, fostering musical creativity that even included new types of musical instruments and pioneering approaches to music education.